Jute is a natural product that is favored for Vegetable storage because it is naturally tough, inexpensive to cultivate and naturally resistant to bugs. 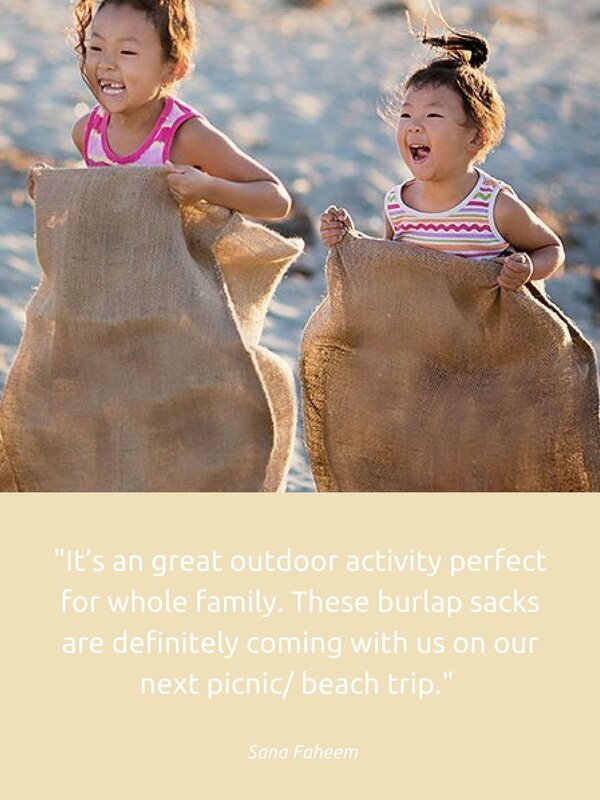 Because Jute is so resilient a lot of sack race manufacturers re-use Jute for many uses including sack racing and/or vegetable storage. 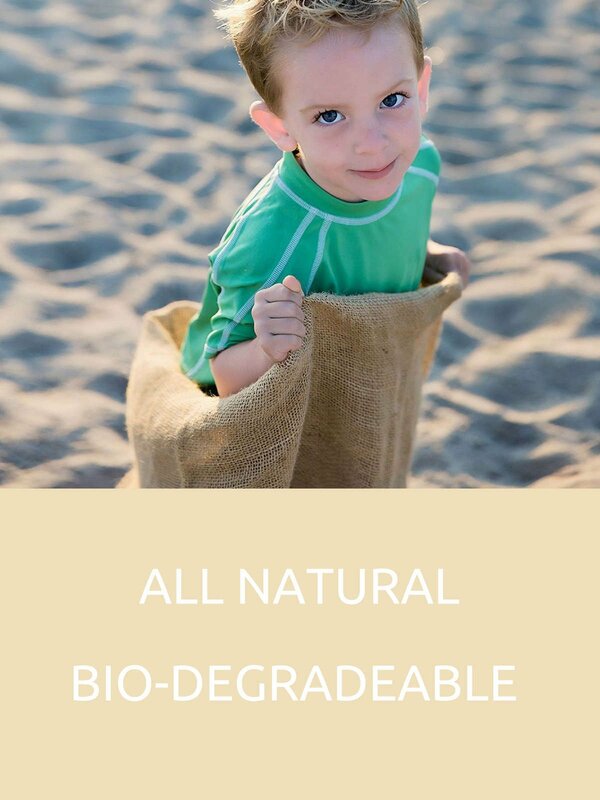 With our sacks we use 100% all natural and new Jute material. We want your game day, field day, birthday party to be a total success. If you aren't completely satisfied we will provide you with a full refund including shipping! Oversize Potato Sacks: 40" Tall x 24" Wide. 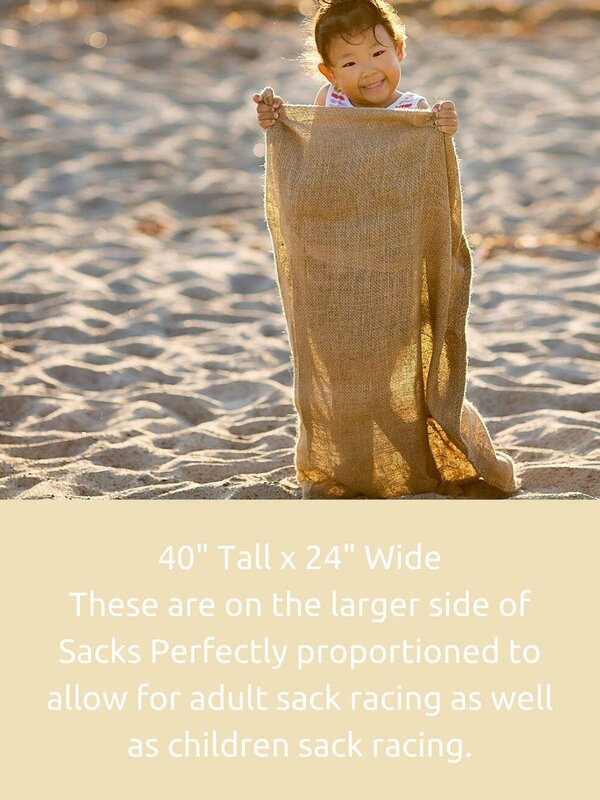 These are on the larger side of Sacks Perfectly proportioned to allow for adult sack racing as well as children sack racing.